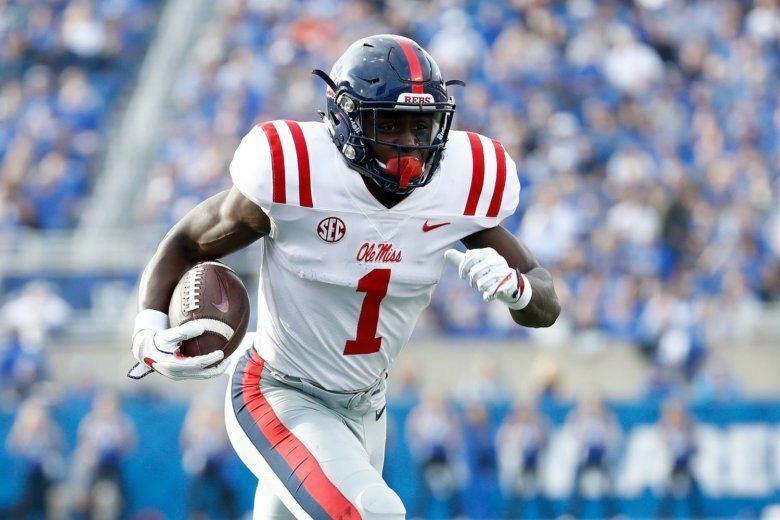 Who might the Baltimore Ravens be targeting in this week’s NFL Draft? WTOP’s Chris Cichon goes round-by-round to try to predict the gaps in the roster the team will try to address and which players might fit best. 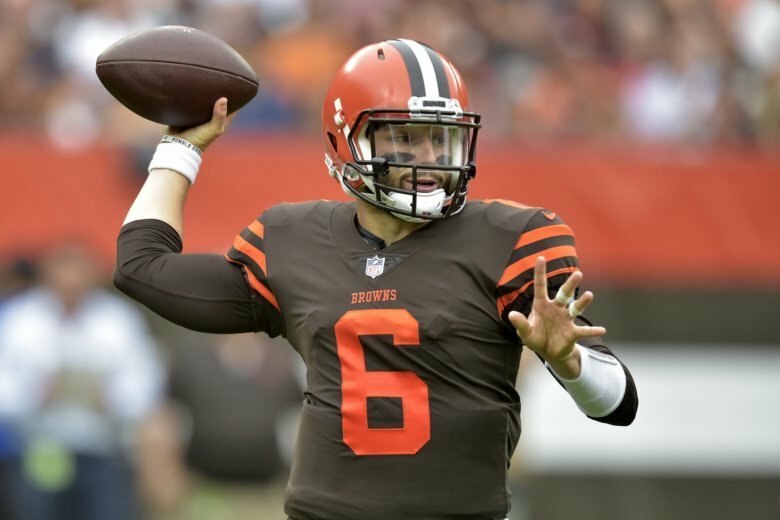 The Baltimore Ravens have agreed to a deal that will send quarterback Joe Flacco to the Denver Broncos in exchange for a mid-round draft pick, according to multiple reports. 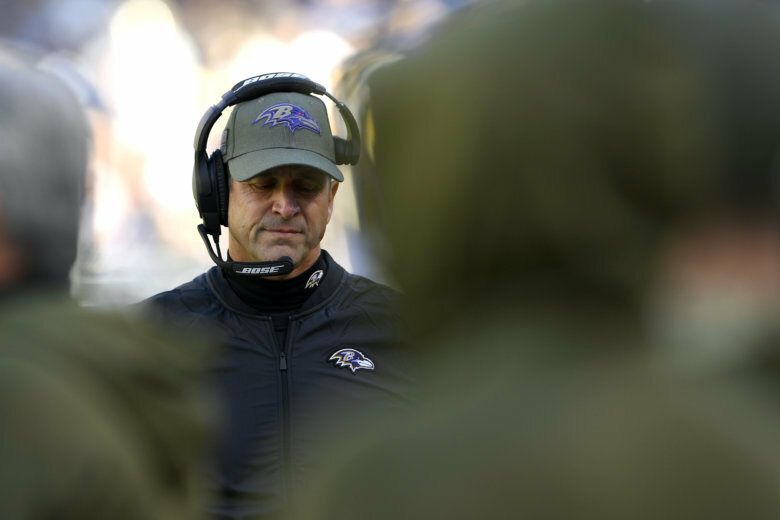 The 46-year-old Roman spent the past two seasons as Baltimore’s assistant head coach/tight ends coach. 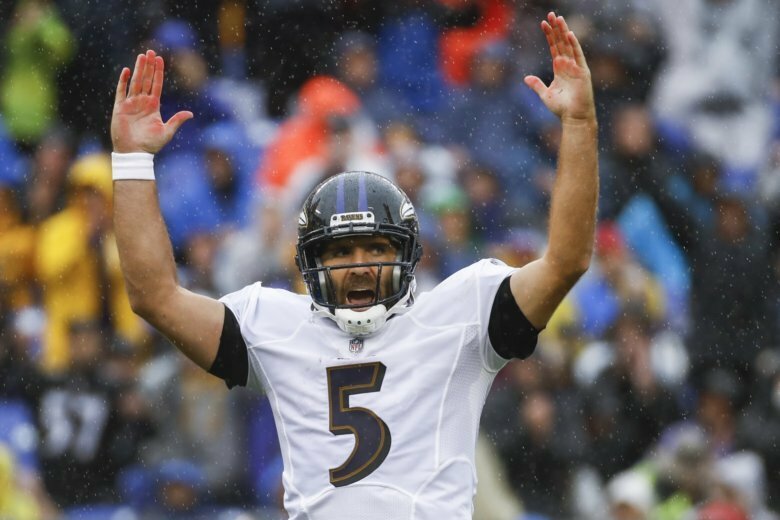 The last time Baltimore was at home in the postseason was in 2012, when linebacker Ray Lewis and quarterback Joe Flacco engineered a 24-8 victory over Indianapolis to launch a surprising Super Bowl run. 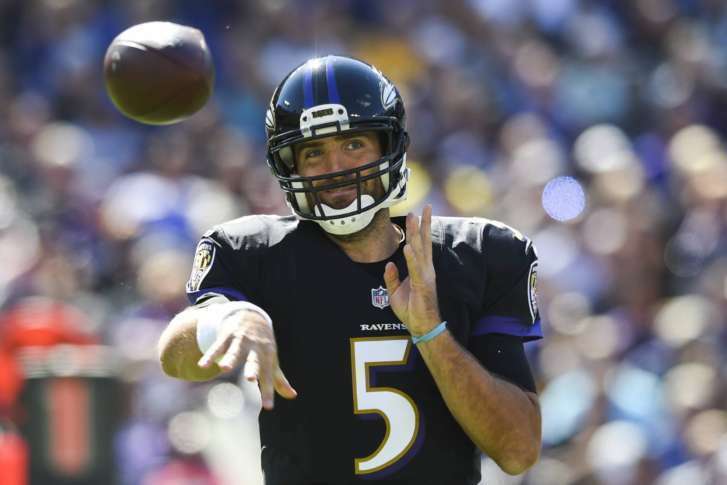 The last time Tampa Bay faced Baltimore, Joe Flacco threw five touchdown passes within the first 17 minutes to get the Ravens rolling in a 48-17 rout. In 2016, a loss to Pittsburgh on Christmas night ended Baltimore’s bid to reach the postseason. 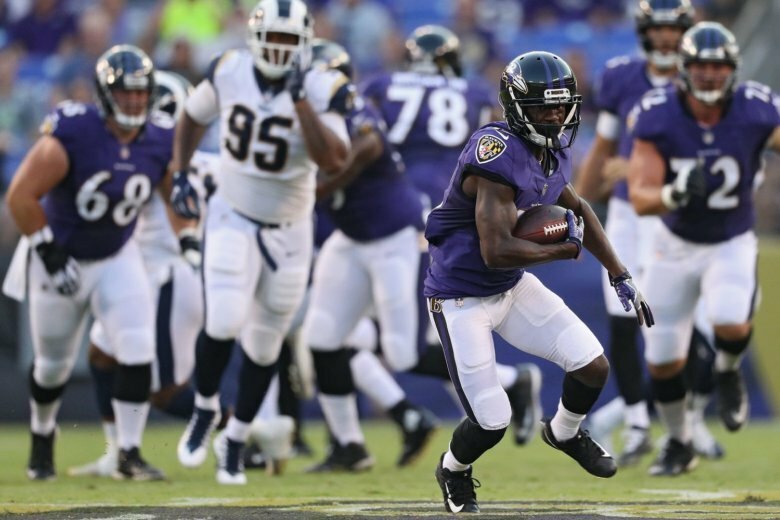 Last year, a defeat at home against Cincinnati on New Year’s Eve sent the Ravens home. 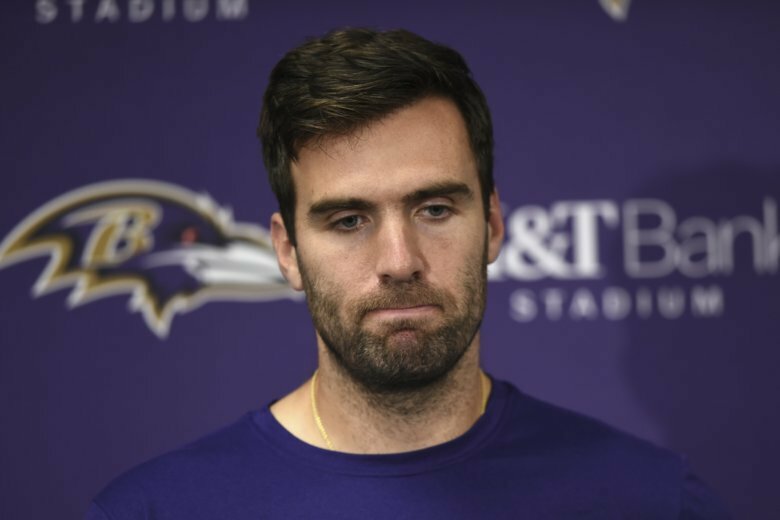 Baltimore Ravens starting quarterback Joe Flacco missed practice Wednesday because of a hip injury, and his status for Sunday’s game against the Cincinnati Bengals is uncertain. 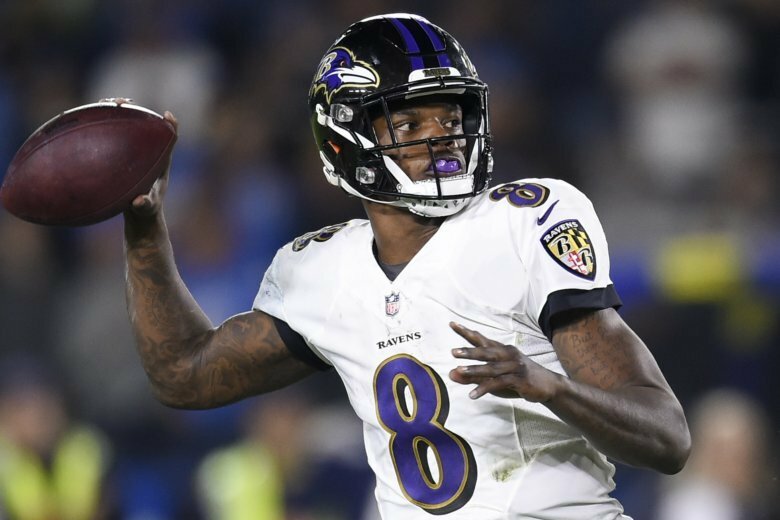 That means either rookie Lamar Jackson or veteran Robert Griffin III could have a chance to show their stuff. 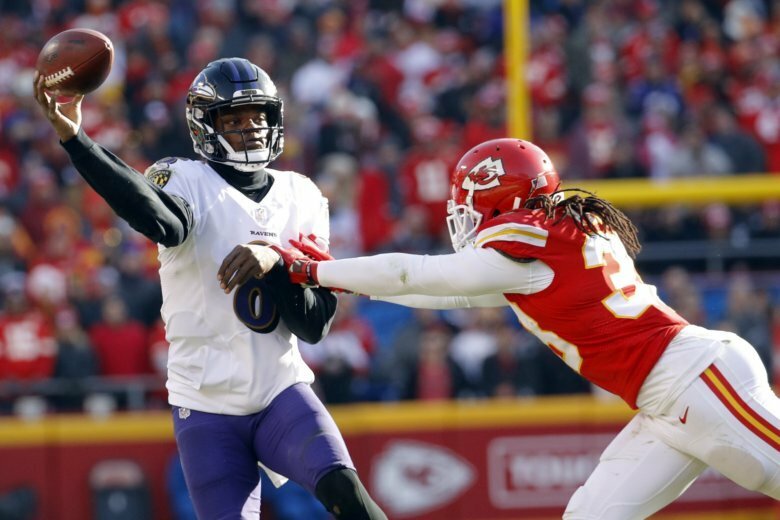 Carrying a three-game losing streak and a losing record, the Baltimore Ravens now face the burden of uncertainty at the quarterback position. 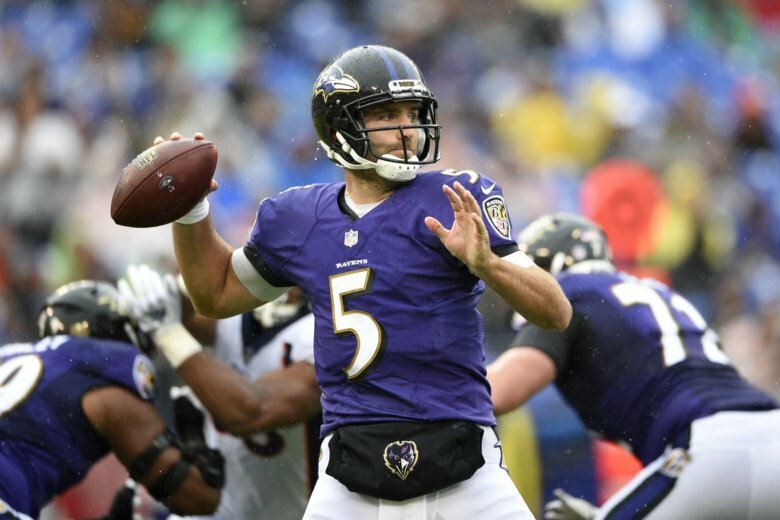 Joe Flacco picked apart Denver’s depleted defense for 277 yards and a touchdown, and the Baltimore Ravens defeated the previously unbeaten Broncos 27-14 Sunday. See photos. 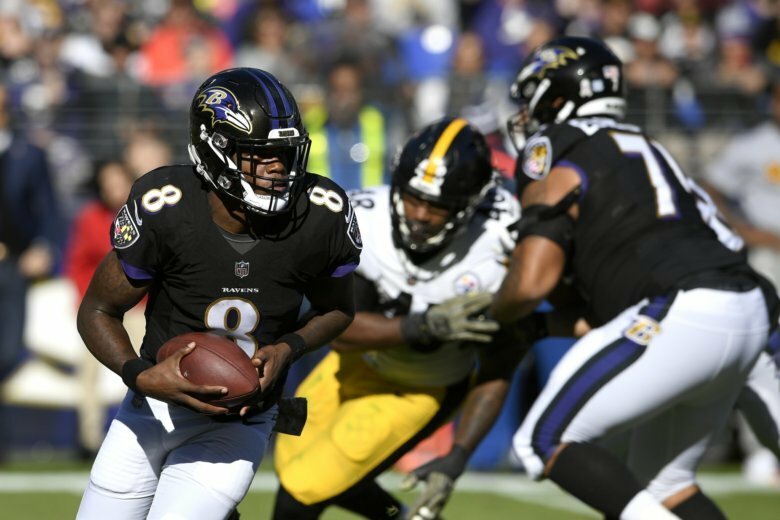 The Baltimore Ravens harassed and embarrassed Buffalo quarterback Nathan Peterman, and Joe Flacco threw each of his 3 TDs to new receivers to beat the rebuilding Bills 47-3. 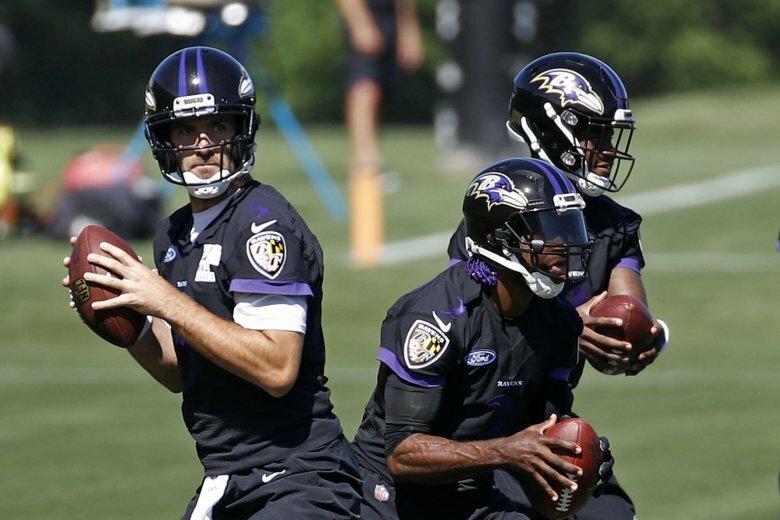 Keeping three quarterbacks was not an easy decision for Baltimore Ravens coach John Harbaugh, who hasn’t had that many QBs on his opening day roster since 2009. 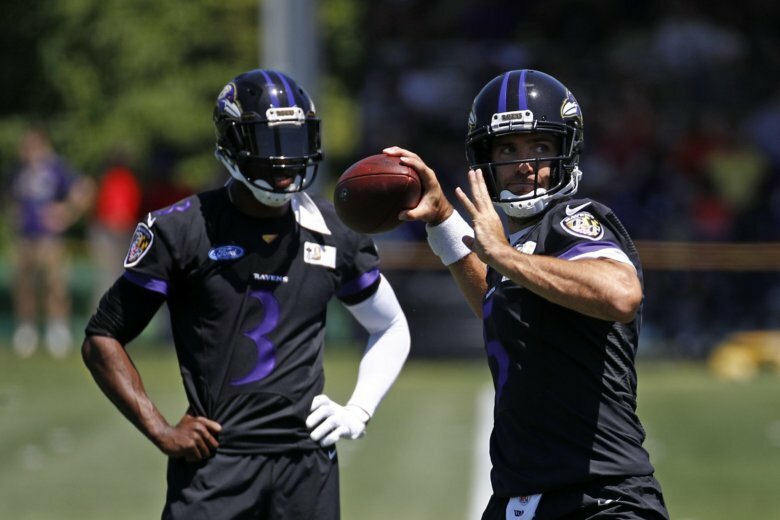 Baltimore Ravens quarterback Joe Flacco threw to some of his new wide receivers and tight ends at a public park near the team’s practice facility.